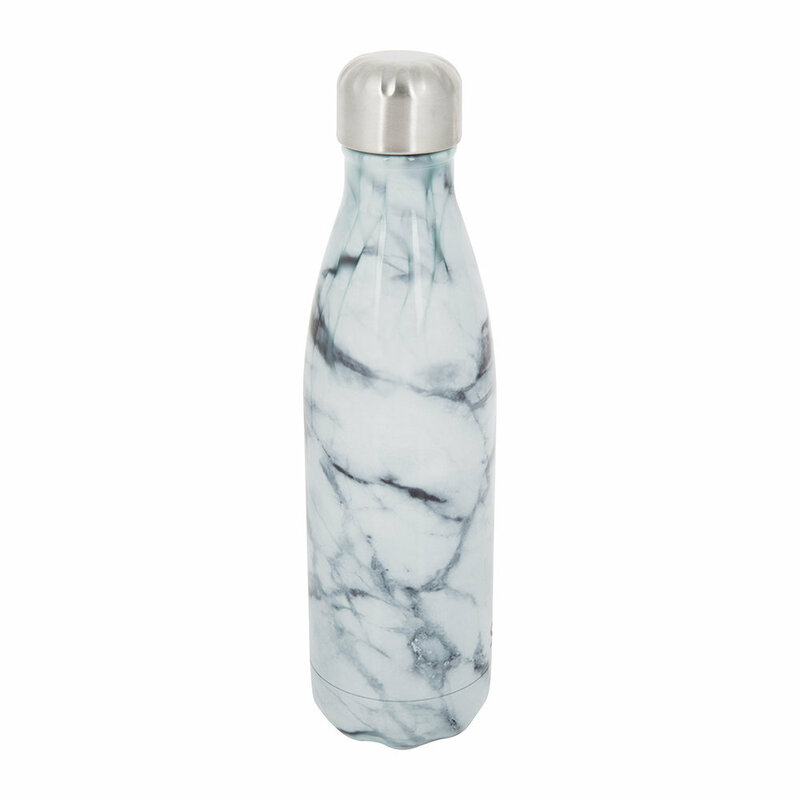 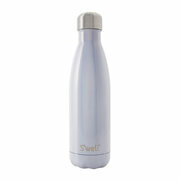 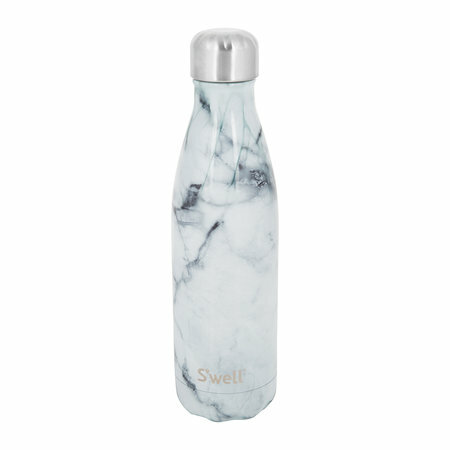 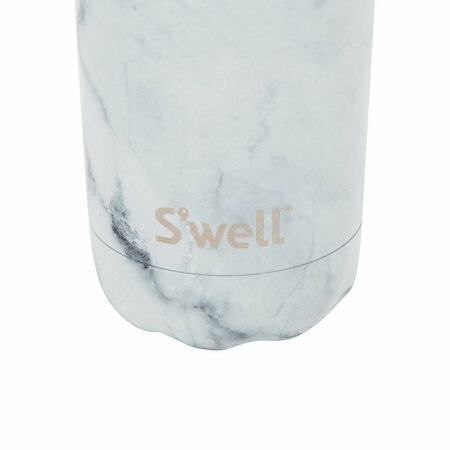 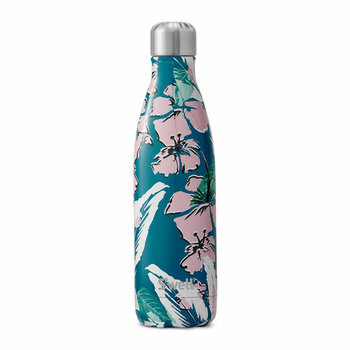 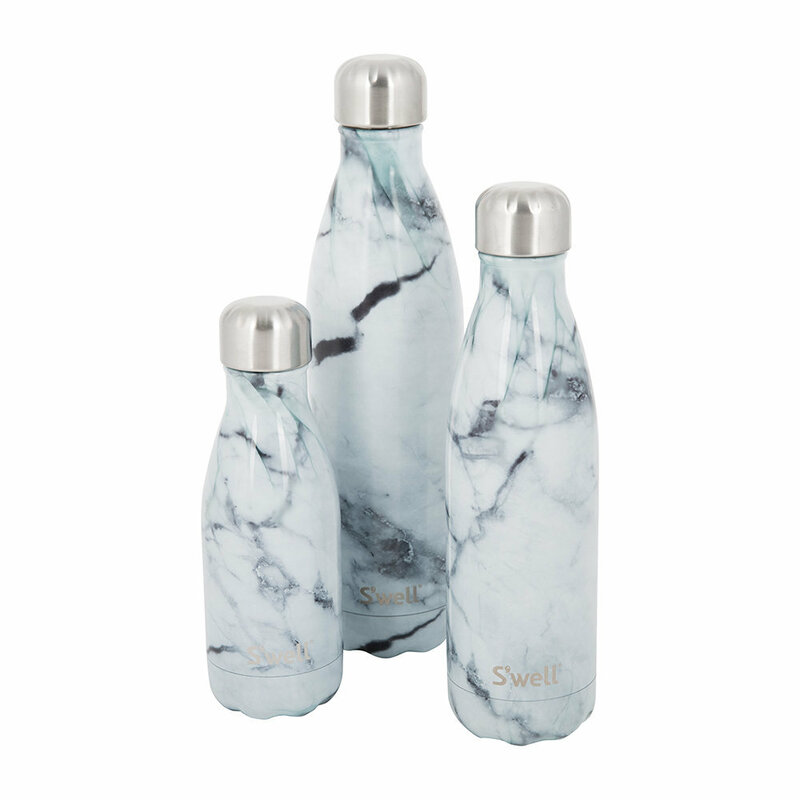 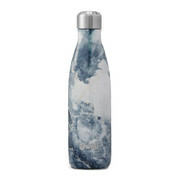 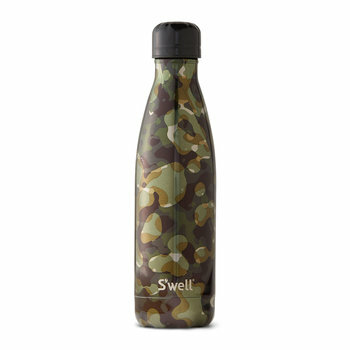 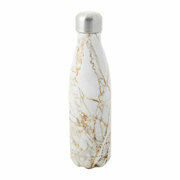 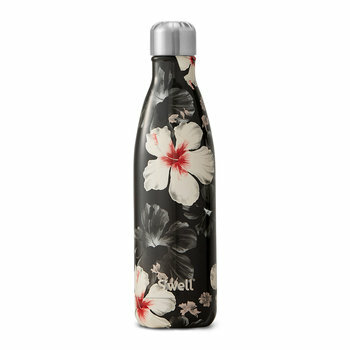 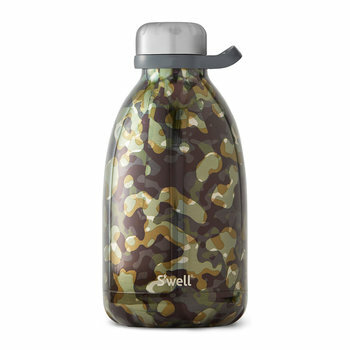 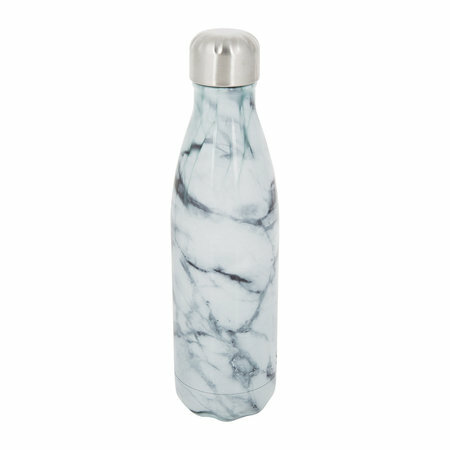 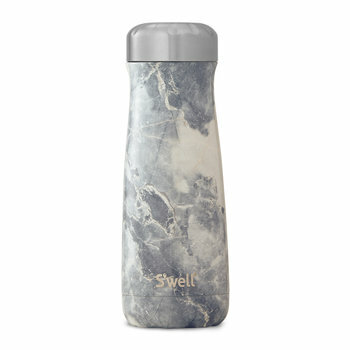 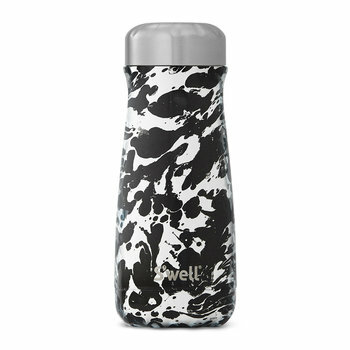 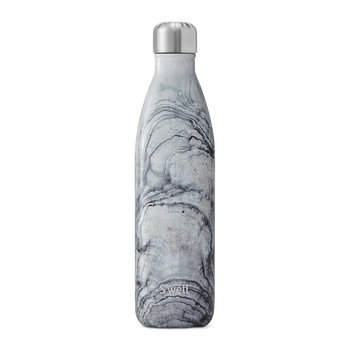 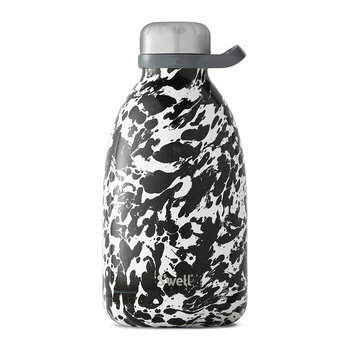 Revolutionise rehydrating with this The Element Blue Marble bottle from S’well. 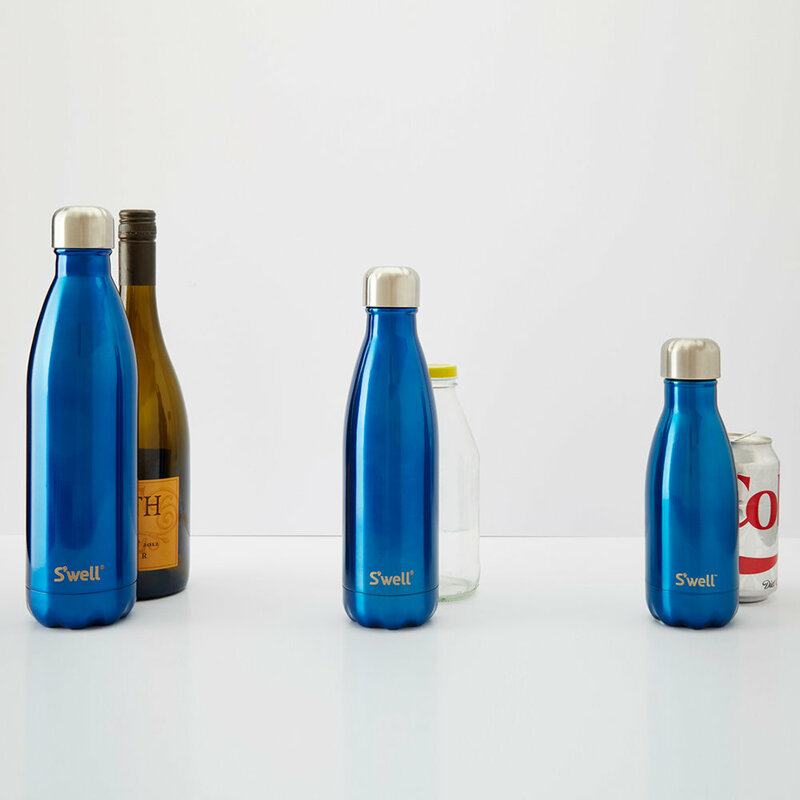 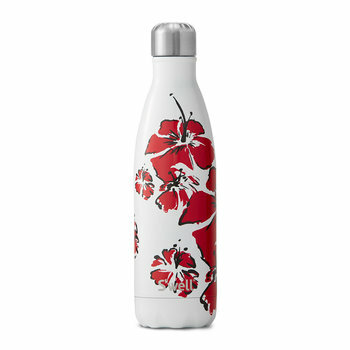 Made from 18/8 stainless steel, this innovative bottle keeps drinks cold for 24 hours and hot for 12. 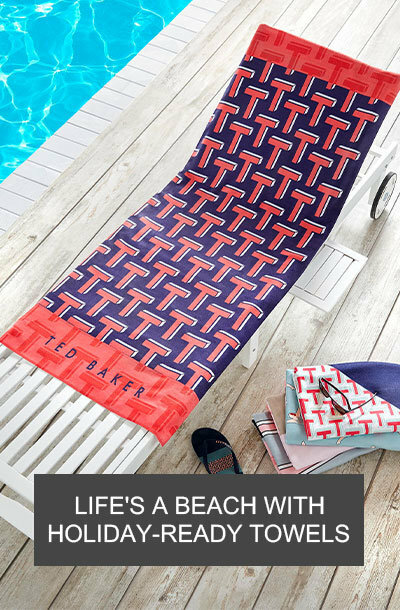 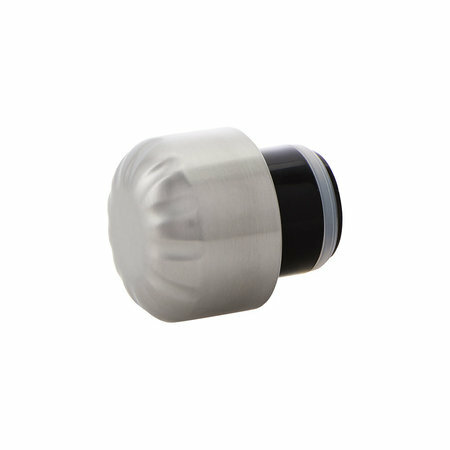 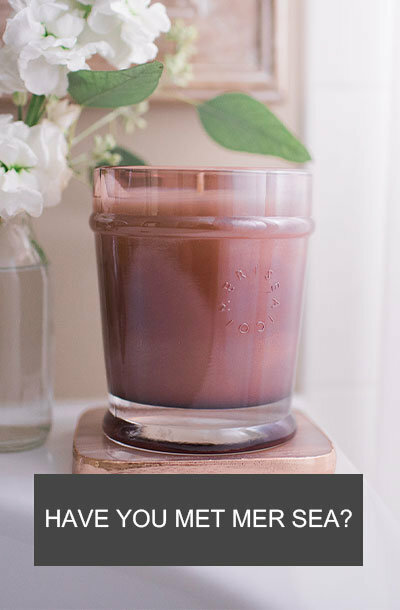 Perfect for taking poolside or to keep a coffee warm during a long meeting, the drip-free sipping ensures minimal mess and simply fits into standard size cup holders. 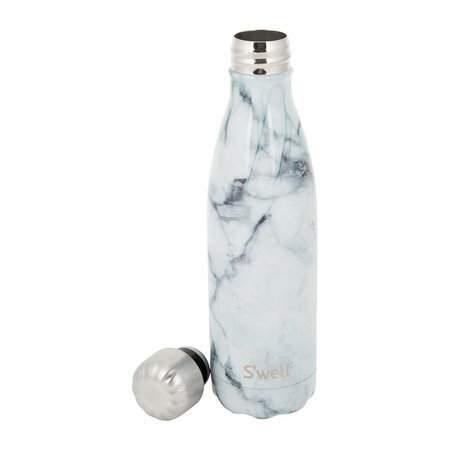 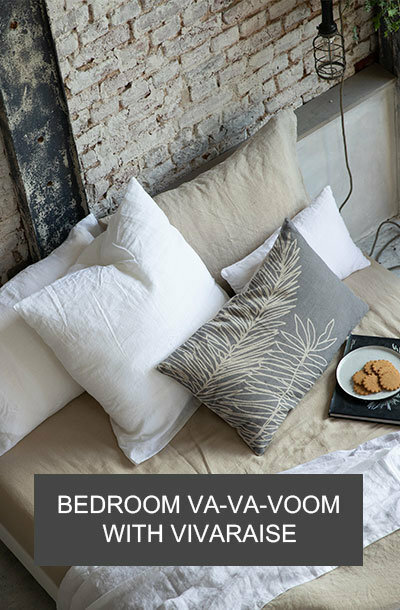 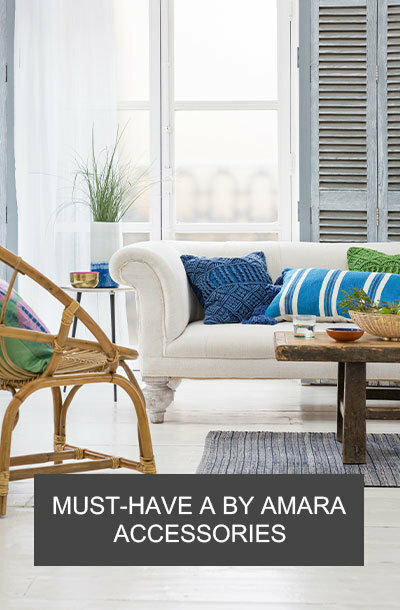 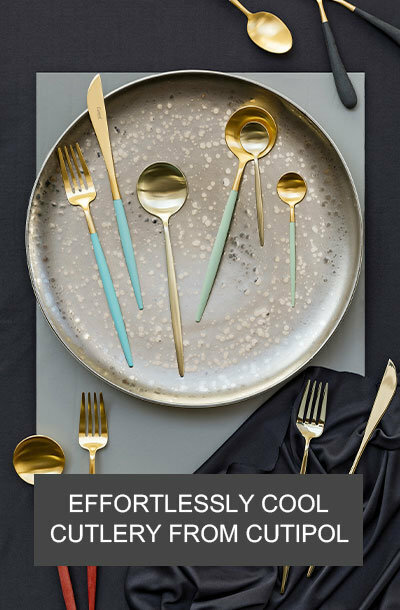 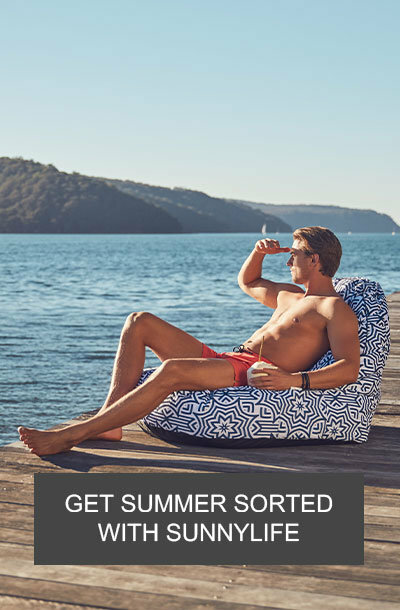 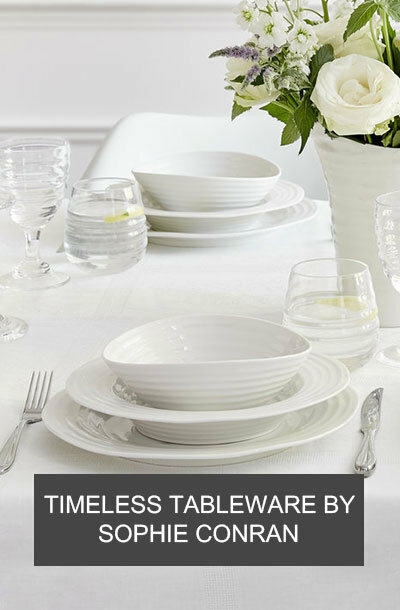 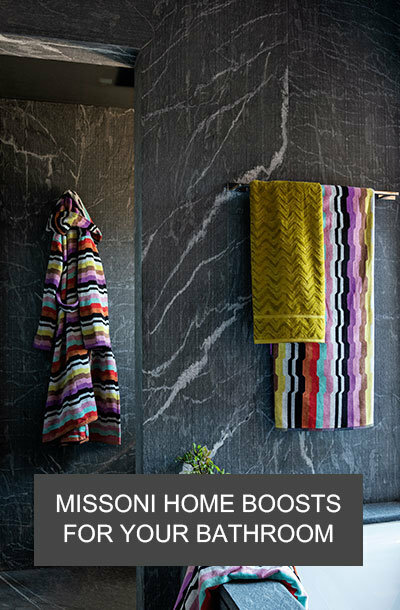 The unique marble print features blue lines running throughout and has been finished with a high gloss appearance, adding a chic touch.